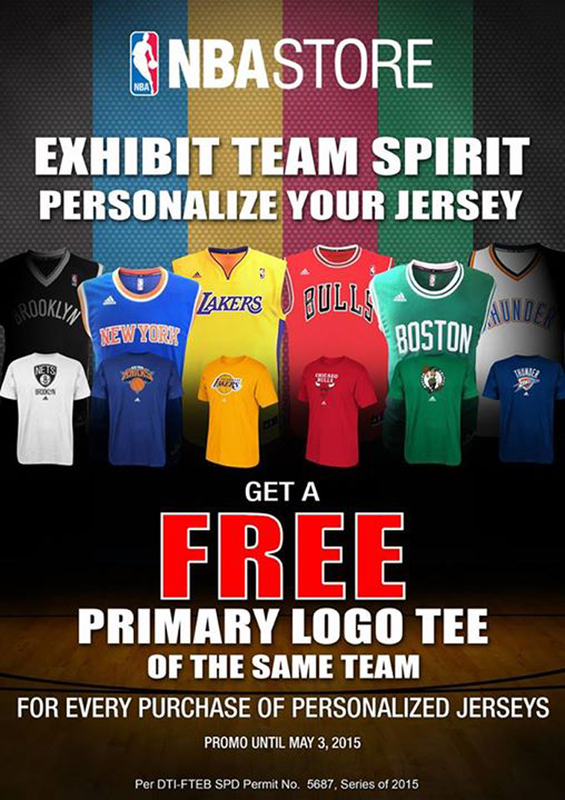 Personalized Jersey from the NBA Store + Giveaway! If you are a huge fan of this sports or the NBA (yes, I'm looking at you Nicobels) then you would definite love this!!! NBA Store's Glorietta 3 branch is now offering personalized NBA jerseys made by official NBA provider Adidas. It's THE ultimate gift for the men (or even amazing women who love sports, I envy you) of your life! Just go to the Personalize It section of the 1,000-square meter store, place your order and get your personalized replica jerseys in just a few minutes. If you buy on or before May 3, the personalized jersey will come with a free primary logo tee of the same team worth Php 995.00. Choose your favorite among these teams: Boston Celtics, New York Knicks, Chicago Bulls, LA Lakers, Miami Heat, Brooklyn Nets and Oklahoma City Thunder. You can customize these jerseys by choosing a name with a maximum of 13 letters and two numbers to be written on the front and back of the jerseys. The replica jerseys are made of 100% polyester fabric with embroidered Adidas logo on the upper-right and NBA on the upper left. The logo, number and name are screen printed. Okay, parang I want this for myself. Do they have XXS? Haha. But wait, there's more! I am giving away P1000 NBA store GCs to 1 lucky winner! 2. Like NBA Philippines’ facebook page: WWW.FACEBOOK.COM/PHILSNBA. 4. Comment below with your name, facebook page and twitter handle. 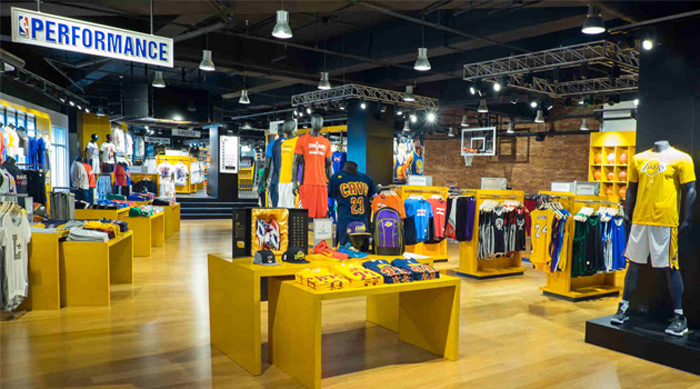 The NBA Store is located at Level 1 & 2, Glorietta 3, Ayala Center, Makati City. The store is open daily from 10AM to 9PM on Sunday to Thursday and 10AM to 10PM on Friday and Saturday.